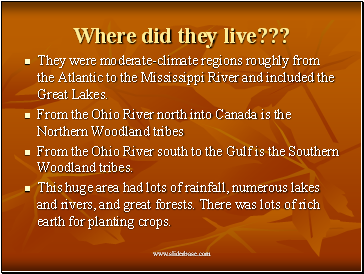 They were moderate-climate regions roughly from the Atlantic to the Mississippi River and included the Great Lakes. 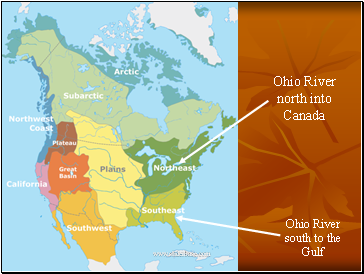 From the Ohio River south to the Gulf is the Southern Woodland tribes. This huge area had lots of rainfall, numerous lakes and rivers, and great forests. There was lots of rich earth for planting crops. 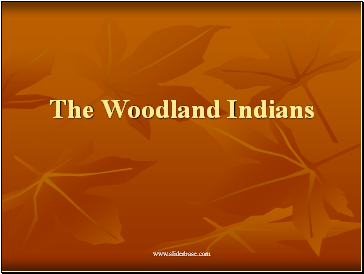 The Woodland Indians were deer-hunters and farmers. 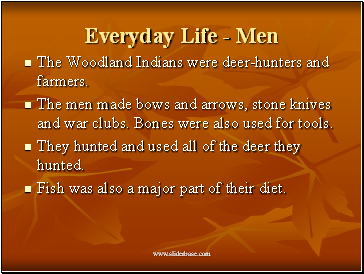 The men made bows and arrows, stone knives and war clubs. Bones were also used for tools. They hunted and used all of the deer they hunted. Fish was also a major part of their diet. 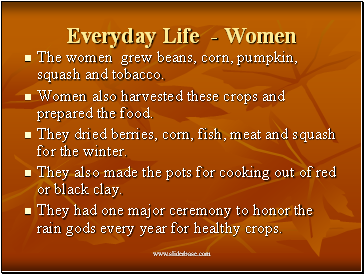 The women grew beans, corn, pumpkin, squash and tobacco. Women also harvested these crops and prepared the food. They dried berries, corn, fish, meat and squash for the winter. They also made the pots for cooking out of red or black clay. They had one major ceremony to honor the rain gods every year for healthy crops. 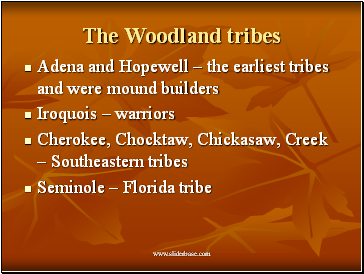 The Woodland tribes were the first to invent a game like lacrosse. 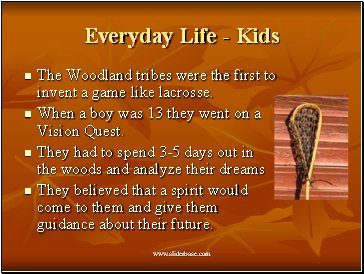 When a boy was 13 they went on a Vision Quest. 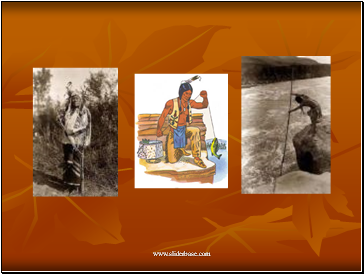 They believed that a spirit would come to them and give them guidance about their future. What did they live in??? 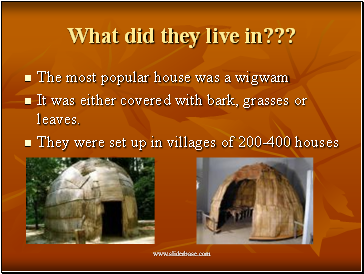 It was either covered with bark, grasses or leaves.